Is That A Real Live Kitty? Top dog that loves the outdoors and all that goes on around it! 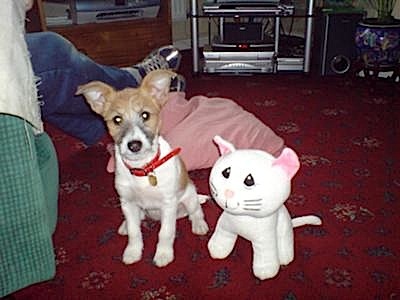 She has grown up to be a very loyal JRT.